FAST, 24-7 & TOP RATED AMONG ALL HVAC CONTRACTORS! 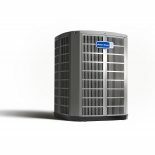 We offer complete service and repair on all makes and models of heat pump systems and air conditioning systems. Aircor is the #1 Chicago, IL – Air Conditioning Repair Service company. With a large selection of parts and equipment stocked on every truck, our technicians are prepared to handle almost any heating or air conditioning repairs, 24 hours a day, seven days a week, and 365 days a year. A boiler heats your home by burning gas, propane, or oil to heat water or steam that circulates through radiators, baseboards, or radiant floor systems. Boilers do not use a duct system. Boilers that have earned the energy star have higher AFUE ratings. 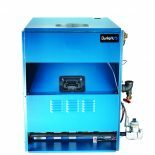 Features that improve boiler efficiency include electronic ignition, which eliminates the need to have the pilot light burning all the time, and technologies that extract more heat from the same amount of fuel. As boiler systems age, they can lose efficiency or stop working all together. That’s why it’s a good idea to have yours inspected every year. Aircor Air Conditioning and Heating, Inc., will diagnose the problem in the first visit all over Chicago Land. Most residential central air conditioners in Chicago, IL are called “split-systems” because they have an outdoor component with a condenser and compressor and an indoor component with an evaporator coil. It’s very important to replace both of these units at the same time. Installing a new outdoor unit without replacing the indoor unit is likely to result in low efficiency, and may lead to premature failure of the system. The central air conditioner also needs a blower motor—which is usually part of the furnace—to blow the cool air through the duct system. The only way to ensure that your new air conditioner performs at its rated efficiency, is to replace your heating system at the same time. It’s especially recommended if your furnace is over 15 years old. If you purchase a new energy-efficient air conditioner but connect it to an older furnace and blower motor, your system will not perform to its rated efficiency. Catching any air conditioning repair ahead of time and making sure that it is serviced or repaired properly can help prevent any more costly issues down the road. Call Aircor Air Conditioning and Heating, Inc., today! Furnaces are the most commonly used residential heating system in the United States, especially in Chicago Land. Running most often on gas, but sometimes on oil, propane, or electricity, furnaces deliver their heat through a duct system. Furnaces that have earned the energy star have higher AFUE (Annual Fuel Utilization Efficiency) ratings. AFUE is the measure of heating equipment efficiency, represented as a percentage. Most furnaces that can qualify for the energy star will be “condensing” furnaces where the transfer of heat is so thorough water or condensate is a byproduct of combustion. This condensing occurs with systems over 90 percent efficient. Another feature of efficient furnaces is a highly efficient blower motor (commonly an ECM, Electronically Commutated Motor, or another type of “advanced main air circulating fan”). When you’re in the market for a new heater or a replacement heating system in Chicago IL, give us a call! 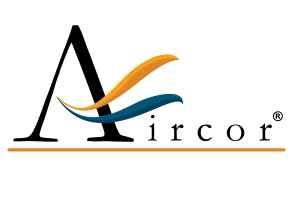 Aircor Air Conditioning and Heating, Inc., offers premium heating installation services and repair. Water heaters are the second highest source of energy usage in any Chicago Land home. ENERGY STAR certified water heaters are an easy choice for energy savings, performance, and reliability. They use less energy than standard models, saving homeowners money on their utility bills while helping protect the climate. 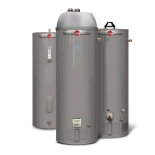 High-efficiency gas storage water heaters employ the same technology as standard gas storage water heaters: a glass-lined steel tank is heated by a burner located at the bottom of the tank. But a few basic changes make them operate more efficiently. Many energy star certified models simply have better insulation, heat traps, and more efficient burners, improvements that have a modest impact on price lead to 8% less energy use. 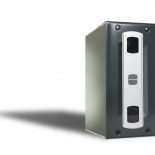 Some very high efficiency models use a secondary heat exchanger that extracts more heat from the combustion gas, cooling it to the point where there is condensation– hence these types of heaters are called “gas condensing.” These gas condensing water heaters, like gas condensing furnaces, require venting through a vertical PVC pipe and a condensate drain. No matter what your hot water need – regular maintenance, expert repairs, or a new or replacement system – call Aircor Air Conditioning and Heating, Inc.
Our Duct Installation and ductwork Modifications services help increase the airflow and reduce energy consumption while your home or business air conditioning and heating systems make your home comfortable. Because ducts are often concealed in walls, ceilings, attics, and basements, repairing them can be difficult. 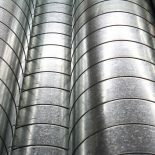 But there are things that you can do to improve duct performance in your house. Aircor Air Conditioning and Heating, Inc., specializes in sealing leaks and insulating all the ducts that you can access such as those in the attic, crawlspace, basement, or garage. Also our expert team will make sure that the connections at vents and registers are well-sealed where they meet the floors, walls, and ceiling. These are common locations to find leaks and disconnected ductwork. For all your ductwork needs in Chicago Land call Aircor Air Conditioning and Heating, Inc. Homeowners can rest easy knowing that our heating and air conditioning repair and heating and air conditioning service department is top notch. This simply means that our heating and air conditioning repair and service technicians are the best at what they do! Their mission is to create long lasting valuable relationships with Chicago-area homeowners and small businesses by been a trusted source for quality heating, ventilation and air conditioning services. Since 2006, hundreds of people, just like you, made of Aircor their only one furnace and air conditioning contractor. They have an expert team of technicians and state-of-the-art equipment, they have the tools to finish every project on time and to your complete satisfaction. They will not happy until youre happy as simple as that.